In days long past, the Ethvold’s roots grew deep and her boughs spread, or so men claimed, from the setting to the rising sun. Peopled by beasts of wild abandon, gods as old as the world itself, men of legend and a life all its own, the Ethvold was the mightiest of woods. But that was in days long past. Now the Ethvold is gone, and only a remnant of it remains, small woods in the north, the Eldwood along the sea and the Darkenfold in the south. The Eldwood, to the east, holds the heart of the old wood, but the Darkenfold holds its dark memories. It is an evil wood, filled with its own wild abandon and creatures of ill intent. Those who live there know that the trees and the soil hold memories of their past glory and do not forget the axes of men, orcs, dwarves, and goblins that have plundered them of their wealth and life. 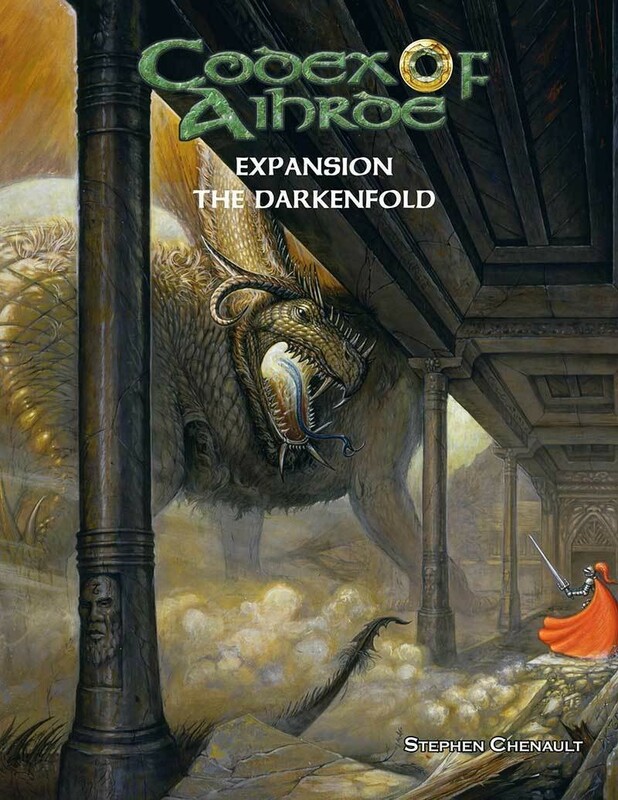 This Codex of Aihrde Expansion explore the length and breadth of the Darkenfold, from the Perth Timberland in the north to the Downs in the south, from the famous town of Ends Meet where Otto runs the Cocklebur Inn and Tavern to Bootstraps where almost anything is for sale. Mountains of features are fleshed out complete with adventure hooks for almost any fantasy role playing game.